christineiscooking.com: Christine Is Cooking Cookbook Giveaway! 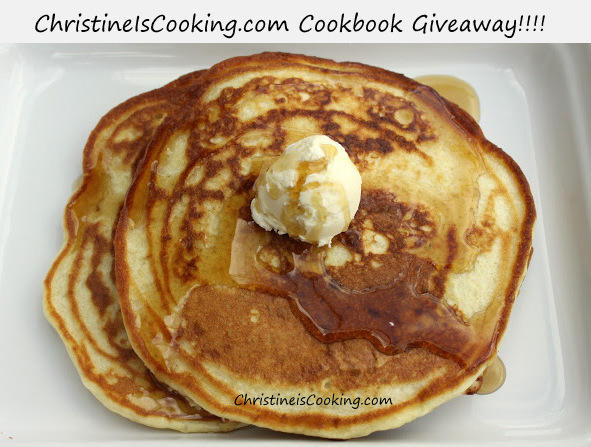 Christine Is Cooking Cookbook Giveaway! Christine Is Cooking is having a cookbook giveaway!!! The winner will receive (1) new copy of the Hungry Girl 1-2-3 cookbook shipped to them free of charge. christineiscooking.com and Classic Bite LLC This giveaway contest is in no way affiliated with or being promoted by Hungry Girl or Facebook.